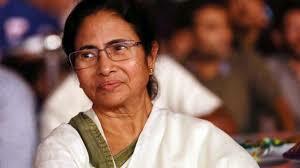 Posters featuring West Bengal Chief Minister Mamata Banerjee have been put up in Delhi ahead of her public address at a rally organised by the Aam Aadmi Party (AAP) on Wednesday . 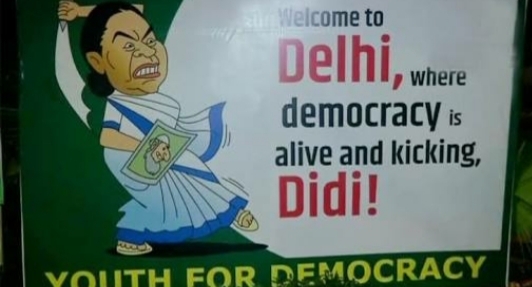 Mocking her idea of dharna politics , the posters take a dig at Mamata Banerjee, saying "the Trinamool Congress chief can enjoy democracy in Delhi because it exists here unlike in Bengal." Her caricature also showed her as an angry rebel. In one of the posters, she is seen marching with a drum in protest. 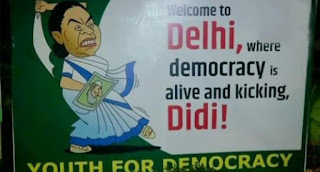 The text of the poster reads, "Didi, we welcome you warmly in the Republic of India!" All posters are signed by 'Save Youth Democracy'.